Nuxe Paris presents Gommage Corps Fondant body scrub with almond and orange flower petals and botanical Exfoliants. 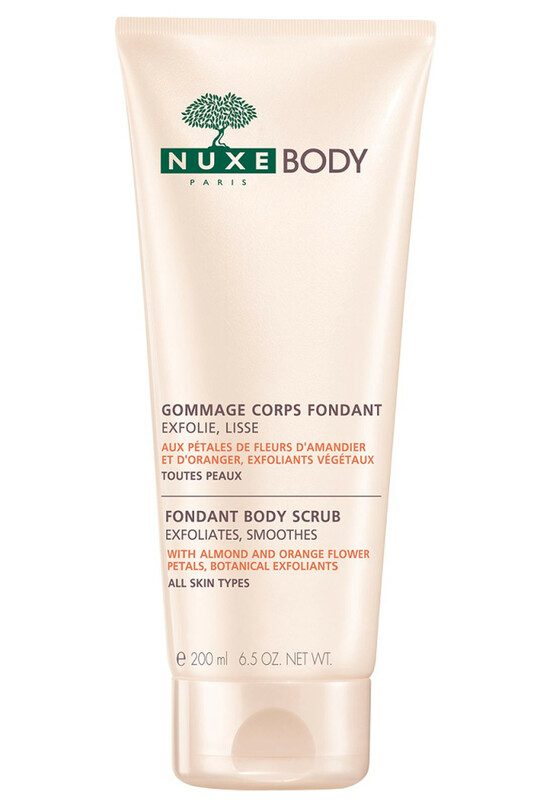 This gorgeous scrub smoothes and refines the texture of the skin with small particles for a gentle exfoliation, so your skin feels like new. Apply to moist skin once or twice a week then rinse, suitable for all skin types.